Do you have a rifle that has a nice wood stock that you don’t want to scratch or make any modifications too but yet would like to put a sling on it? 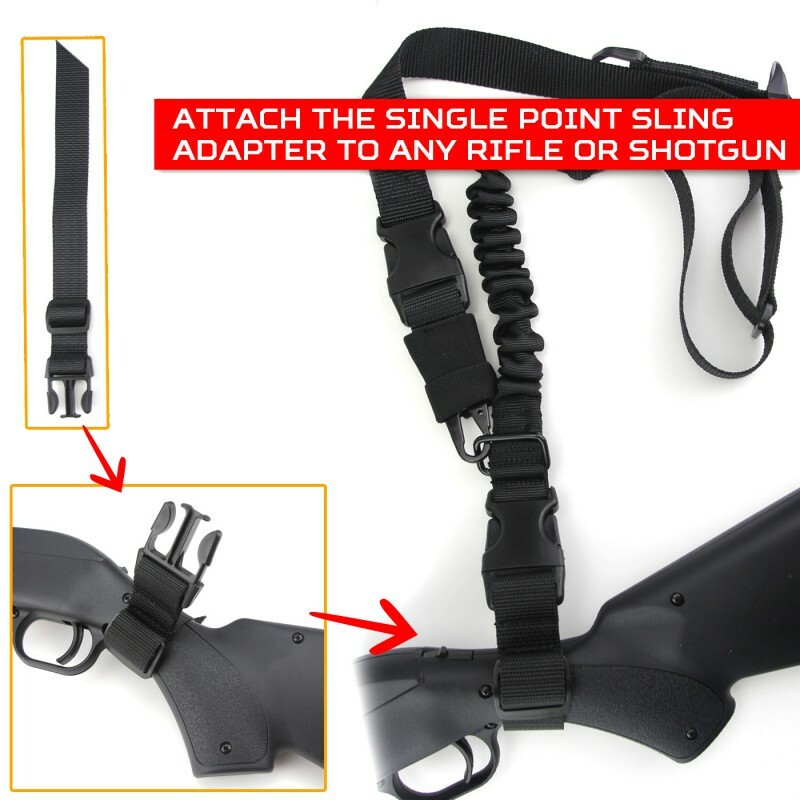 This is the reason we include a single point sling adapter strap with each of the BDS 1X2 slings…so you can easily add a sling to any rifle or weapon you own. The great thing about this sling adapter is that it will fit over any size stock and work with anything. No need to make any modifications to your weapon…simply attach the strap and connect it to your sling and you’re off and shooting!